Individuals with disabilities may find accessibility and accommodation very different from what is available in the United States. 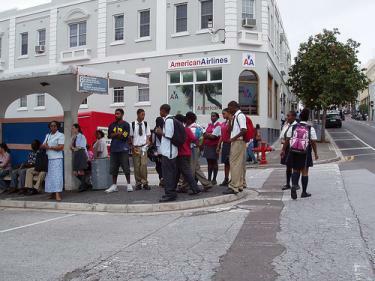 Bermuda does not currently have legislation on access to transportation, communication, and public buildings for persons with disabilities. Very few hotels would be considered fully compliant with the Americans with Disabilities Act (ADA). We recommend you always check with the hotel or property where you will be staying to see if their dimensions for rooms, doors, and bathrooms are ADA-compliant. Outside of the City of Hamilton, sidewalks are generally unavailable or not suitable for wheelchairs. Public ferries are handicap accessible, as are some of the public buses, but most bus stops are not. Handicap accessible taxis are available for hire in Bermuda.